address on the entry form. or ‘Landscape’ for the landscape display table. and only capitalize the first letter of the name for hybrids. 4) Enter the number of the plant class or display class. 5) Enter a ‘Y’ under the Special Trophy Class(es) column that applies to your plant. Excel version (Orchid Fair 2019 Plant Entry Form.xlsx) of the form if possible. If you do not have an Excel compatible program please use the word processor version (Plant Entry Form 2019.rtf). 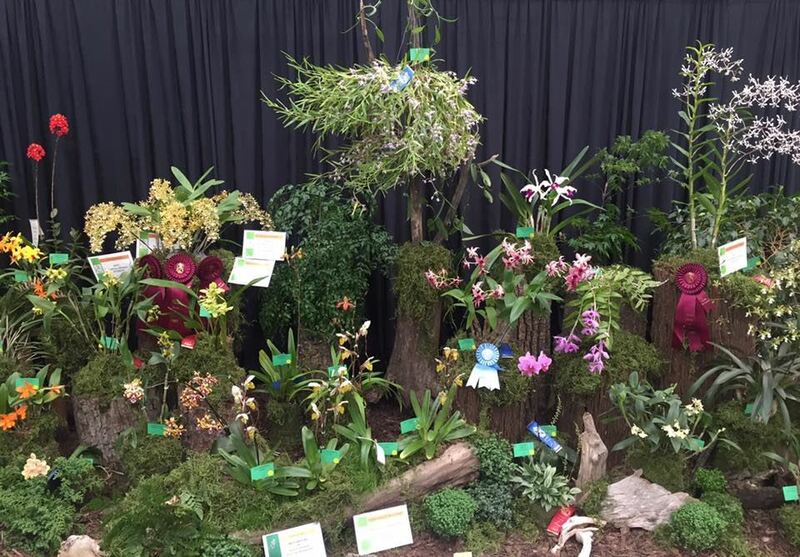 6) When the entry form is complete, please e-mail it to registration@orchidsalberta.com. Remember to save a copy to your computer before emailing it to us! Alberta from 9:00 AM to 5:00 PM on Thursday, April 4, 2019. Advance registration is STRONGLY encouraged! If in doubt whether your plant will be ready in time for the show, please pre-register any plants that you think you may want to enter. It is much quicker to delete an advance entry than to register a plant at the last minute. On the show setup day you will receive a confirmation copy of the registration form that will have a unique Plant Identification Number assigned to each plant. The Plant Identification Number stickers are provided for placement on your plant label. Each exhibitor is responsible for labeling their plants and attaching the plant numbers. **The Orchid Society of Alberta and the Enjoy Centre will not be held responsible for any damage or loss of displayed plants and decor. All entries displayed are at owner's risk.